Original publication 'Toetsvragen schrijven' 1983 Utrecht: Het Spectrum, Aula 809, Onderwijskundige Reeks voor het Hoger Onderwijs ISBN 90-274-6674-0. The 2006 text is a revised text. this database of examples has yet to be constructed. Suggestions? Mail me. At a fair, players throw coins onto a board checkered with squares. If a coin touches a boundary, it's lost. If it rolls off the board, it's returned. But if it lies wholly within a square, the player wins his coin back plus a prize. Copyright ( 1988) by National Council of Teachers of Mathematics. Used [by Romberg] with permission. What is the probability of winning this game? An experimenter tells you she has a rule in mind about triples of whole numbers. She also tells you that the triple '2 4 6' conforms to that rule. Your task is to discover the rule by thinking of new triples, the experimenter will tell you whether a new triplet conforms to the rule or not. P. C. Wason (1960). On the failure to eliminate hypotheses in a conceptual task. Quarterly Journal of Experimental Psychology, 12, 129-140. The original article does not seem to be available on the www. Try cuil.com, search: wason problem. Note: it is not the same as the Wason selection task, another famous problem in the same line of research. Jonathan St. B. T. Evans (1989). Bias in human reasoning: Causes and consequences. Erlbaum. See p. 45 ff. This book is not available in questia.com. However, searching questia on its title resuts in a number of related books that are. Figure 1. Construction of a problem statement. Figure 2. Analysis of a designed problem statement. A 3.57 kg block is drawn at constant speed 4.06 m along a horizontal floor by a rope. The force on the block from the rope has a magnitude of 7.68 N and is directed 15.0¡ above the horizontal. What are (a) the work done by the rope's force, (b) the increase in thermal energy of the block floor system, and (c) the coefficient of kinetic friction between the block and floor? Construct a complete Model of the following situation: A 3.57 kg block is drawn at constant speed 4.06 m along a horizontal floor by a rope. The force on the block from the rope has a magnitude of 7.68 N and is directed 15.0¡ above the horizontal. Student responses to these two different problems will vary greatly. The standard problem will have responses that are numeric answers and will be accompanied by varying degrees of work and likely little justification on how, or why the answer was attained. The response to the modeling problem is a constant velocity model, adapted to the situation described. A complete model for this situation would include kinematic graphs, motion maps, a system schema, a force diagram, and energy pie charts, as well as applications of Newton's Second Law and the First Law of Thermodynamics. abstract The modeling theory of instruction is widely applied in high-school instruction, and seldom in university physics. One reason is lack of familiarity with models in the physics classroom. Recent developments in modeling theory could inspire a new interest in application of modeling theory at the university level. This paper follows one class through a modeling cycle, including development, application and adaptation, extension, and revision in an effort to reify the role of models in a class. The benefits of modeling instruction are identified and include effective knowledge organization, consistency with accepted scientific practice, and improved problem solving through use of multiple representations. I have yet to make a detailed study of this line of instructional development. It is part of the research using the Force Concept Inventory: David Hestenes, Malcolm Wells, and Gregg Swackhamer (1992). Force Concept Inventory. The Physics Teacher, Vol. 30, 141-158. pdf. "In this article, we will describe the evolution of this system to include delayed feedback homework, 'Interactive Examples' with sophisticated help sequences, and preflights for 'Just-In-Time Teaching.'" Exam composed of 4 multi-part calculational problems. Exam graded by faculty + TAs immediately afterward. Subjective partial credit given based on student's approach. Students can learn to do these problems without understanding what they are doing. Whining, cheating on regrades, questionable application of partial credit. Exam composed of Multiple Choice questions, both qualitative and quantitative, often using the same physical situation. *We have always believed in the importance of conceptual understanding, but students didn't believe us because we never explicitly asked these questions before! Partial credit scheme for quantitative (5 possible answers) questions. Students can choose to get reduced credit if they can successfully eliminate unphysical answers. Prove that every number greater than 4 is the sum of two odd primes. The conjecture is known as Goldbach's conjecture, no one has been able to prove it. It is, of course, easy to construct lots and lots of examples showing the conjecture to be true in those particular cases: 8 = 3 + 5; 10 = 3 + 7 = 5 + 5; etcetera. This kind of problem is very special indeed. Fermat's Last Theorem used to be another example, it has now been proved by Andrew Wiles and Richard Taylor Wiki. George Pólya (1954/68). Mathematics and plausible reasoning. Volume I: Induction and analogy in mathematics. Volume II: Patterns of plausible inference. Princeton University Press. pp. 4-7. The Cambridge mathematical tripos in the nineteenth century is an extremely competitive examination spread out over some eight full days, sometimes in bitter cold as well. There are a few publications giving the full examinations, as well as the intended answers. Almost every problem is for almost every examinee a difficult one, a very difficult one. It is possible to see for yourself, as some of these oldies have been reprinted in the Elibron Classic series. William Walton, Charles Mackenzie. Solutions of the Problems and Riders Proposed in the Senate-House Examination for 1854. By the Moderators and Examiners. With an Appendix, Containing the Examination Papers in Full. Elibron Classics, 2002, 238 pages. Replica of 1854 edition by Macmillan and Co., Cambridge. Scale of merit among the men who obtain mathematical honours at Cambridge. The results of two years are thrown into a single table. The total number of marks obtainable in each year was 17,000.
same year, 4,123; and by the lowest man in the list of honours, only 237.
the senior wrangler was conspicuously eminent. afford no data to serve that purpose. Many items are as yet on my 'to do' list: they are mentioned here, but not used in the above text yet. "The history of the students' actions are recorded so that we can Òplay backÓ a student's proof from start to finish, displaying all steps including those that were deleted by the student. Using this feature, we have had the opportunity to examine many students' proofs. The analysis of these proofs has influenced both the development of the system and our presentation of the material in our courses." abstract This study focuses on the use of authentic cases to provoke higher-order learning. It is based on a review of recent research literature and focuses in particular on the design features of these cases. First, we looked into the characteristics of real life problems academics are confronted with in their professional practices and the way they solve those problems. In the transformation of these to educational tasks, elements of authenticity get lost. Awareness of the features that are crucial to authenticity of the case seems important if higher-order learning is to be achieved. The literature not only provided indications for the design of authentic cases, we also came across examples of negative effects of authentic cases and improper design. The results of our search show that the impact of authenticity on learning outcomes is promising but it does not present conclusive results. Authenticity appears to be a much too wide ranging formulation to be helpful in the design of case attributes. In the future we will focus more closely on the coherence of the factors that play a part in higher-order learning. R. O. DUDA and J. G. GASCHNIG (1981). Knowledge-based expert systems come of age. BYTE, 238-284. De computer geprogrammeerd als expert probleemoplosser: Stand van zaken; vooral medische diagnostiek: de praktische resultaten die Kunstmatige-Intelligentie-onderzoek ook oplevert. abstract A computer-based method for assisting a user in making decisions in the process of completing a task is shown and described. The method of the system includes providing a set of questions for completing the task, asking the user a first question from the set, and providing a choice of answers to the first question. The system also provides advice from its knowledge base for deciding which of the answers to the first question to select. The choice of answer, however, remains under the control of the user, who can exercise judgment based on the user's expertise and the advice provided by the decision management system. The method continues by asking following questions, with the following questions, answers and advice influenced by the user's previous answers. Throughout the decision-making process, the user retains control of the answers if so desired, with the system providing advice from its knowledge base. The system is particularly suited for document assembly in allowing a professional to determine what provisions are suitable for a document to be built from information and judgments provided by the professional and the knowledge base of the system. The system also includes an authoring program for preparing applications that run on the system. Using an intuitive program block approach of the authoring program, an author can construct an application by placing questions, answer choices, advice and textual and logical provisions in named program blocks. The author then assembles and arranges these blocks to build a desired application program. abstract By its very nature, artificial intelligence is concerned with investigating topics that are ill-defined and ill-understood. This paper describes two approaches to expanding a good but incomplete theory of a domain. The first uses the domain theory as far as possible and fills in specific gaps in the reasoning process, generalizing the suggested missing steps and adding them to the domain theory. The second takes existing operators of the domain theory and applies perturbations to form new plausible operators for the theory. The specific domain to which these techniques have been applied is high-school algebra problems. The domain theory is represented as operators corresponding to algebraic manipulations, and the problem of expanding the domain theory becomes one of discovering new algebraic operators. The general framework used is one of generate and testÑgenerating new operators for the domain and using tests to filter out unreasonable ones. The paper compares two algorithms, INFER and MALGEN, examining their performance on actual data collected in two Scottish schools and concluding with a critical discussion of the two methods. A. S. Elstein, L. S. Shulman en S. A. Sprafkan (1978). Medical problem solving: An analysis of clinial reasoning. Harvard University Press. abstract It is usually assumed that successful problem solving in knowledge-rich domains depends on the availability of abstract problem-type schemas whose acquisition can be supported by presenting students with worked examples. Conventionally designed worked examples often focus on information that is related to the main components of problemtype schemas, namely on information related to problem-category membership, structural task features, and category-specific solution procedures. However, studying these examples might be cognitively demanding because it requires learners to simultaneously hold active a substantial amount of information in working memory. In our research, we try to reduce intrinsic cognitive load in example-based learning by shifting the level of presenting and explaining solution procedures from a Ômolar' view - that focuses on problem categories and their associated overall solution procedures - to a more Ômodular' view where complex solutions are broken down into smaller meaningful solution elements that can be conveyed separately. We review findings from five of our own studies that yield evidence for the fact that processing modular examples is associated with a lower degree of intrinsic cognitive load and thus, improves learning. 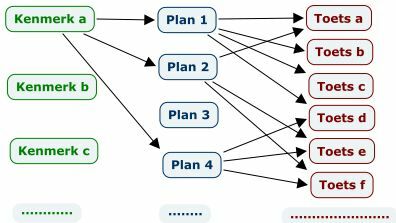 abstract In this paper, we provide evidence against the common idea that worked examples should be designed to convey problem categories and category-specific solution procedures. Instead we propose that instructional examples should be designed in a way that supports the understanding of relations between structural problem features and individual solution steps, i.e. relations that hold below the category level. We illustrate in the domain of probability word problems how category-avoiding instructional examples can be constructed. In two experiments we provide evidence that category-avoiding examples reduce cognitive load during learning and that they foster subsequent problem-solving performance. Adriaan D. Groot (1978). Thought and choice in chess. Den Haag: Mouton, 1978. Ross Honsberger (1978). Mathematical morsels. The Mathematical Association of America. "This is not a book of problems which are posed for you to solve (...), but as a showcase for some of mathematics' minor miracles." "Mathematics abounds in bright ideas. No matter how long and hard one pursues her, mathematics never seems to run out of exciting surprises. And by no means are these gems to be found only in diffcult work at an advanced level. All kinds of simple notions are full of ingenuity." "The present volume discusses scores of elementary problems which have been culled primarily from the American Mathematical Monthly, 1894-1975." As a non-mathematician you should know that mathematicians like to be members of mathematical clubs. One of the things these mathematicians do in their club is put problems and solve problems. There must be a library of books assembling these problems. It is a culture, the pinnacle of which might be found in Cambridge in the context of the Mathematical Tripos examinations (17th - 20th century). The phenomenon should be a warning to mathematical course and test builders; all of this is highly artificial, and predicated on the unique interests of mathematicians themselves, not of the pupils they teach, or of other professionals needing their mathematical results. The 91 gems in the book might be used to as materials to discuss and experience the doing of mathematics, not in the manner of solving puzzles and problems, but trying to understand what it is that is called mathematical thinking, and do some of it yourself. This is not discussed by Honsberger, by the way, you will have to modify the material yourself to make it fit for classroom use. David H. Jonassen (1997). Instructional design model for well-structured and ill-structured problem-solving learning outcomes. Educational Technology: Research and Development, 45, 65-95.
abstract Problem solving is generally regarded as the most important cognitive activity in everyday and professional contexts. Most people are required and rewarded for solving problems. However, learning to solve problems is too seldom required in formal educational settings, in part, because our understanding of its processes is limited. Instructional-design research and theory has devoted too little attention to the study of problem-solving processes or methods and models for supporting problem-solving learning. In this article, I describe differences among problems in terms of their structuredness, complexity, and domain specificity (abstractness). Then, I briefly describe a variety of individual differences (factors internal to the problem solver) that affect problem solving. Finally, I articulate a typology of problems, each type of which engages different cognitive, affective, and conative processes and therefore necessitates different instructional support. The purpose of this paper is to propose a meta-theory of problem solving in order to initiate dialogue andresearch rather than offering a definitive answer regarding its processes. abstract The premise of this paper is that the key to problem solving is adequately representing the problem to be solved. Most research has focused on how problems are (re)presented to learners. The assumption that those external representations naturally map onto learners' internal representations of problems has not been confirmed. New research has examined the role of tools for externalizing learners' internal representations. 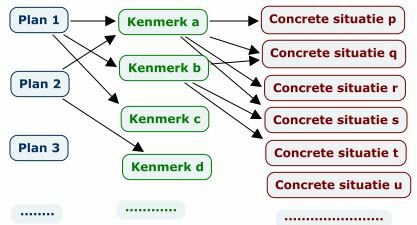 Descriptions of how three kinds of cognitive toolsÑsemantic networks, expert systems, and systems modeling toolsÑcan be used to externalize learner's internal representations are provided. Research is needed to study the efficacy of these tools for supporting problem solving. from the abstract The architecture includes three essential components: a multi-layered conceptual model of the system that includes topographic, function, strategic, and procedural representations; a simulator that requires the learner to generate hypotheses, reconcile the hypotheses to the system mode, test the hypotheses, and interpret the results from the test; and a case library that uses a case-based reasoning engine to access relevant stories of troubleshooting experiences as advice for the learner. This novel architecture can be used to develop learning environments for different kinds of troubleshooting. J. H. Larkin, J. H. (1981). Enriching formal knowledge: a model for learning to solve textbook physics problems. In J. R. Anderson Cognitive skills and their acquisition. Hillsdale, New Jersey, Erlbaum, 1981. Geeft uitvoerig uitgewerkt voorbeeld. Leuk artikel, zeker voor sociologen. Alan Newell and Herbert A. Simon (1972). Human problem solving. Englewood Cliffs, New Jersey, Prentice Hall, 1972. Een standaardwerk over het oplossen van problemen. Staat met beide voeten in de Kunstmatige-Intelligentietraditie, probeert een beschrijvende (psychologische) theorie van het oplossen van problemen te geven. G. Polya (1957/1971). How to solve it. A new aspect of mathematical method. Princeton, New Jersey, Princeton University Press. Een 'klassiek' boek over het aanpakken van problemen, vooral wiskundige problemen. L. W. T. Schuwirth, D.E. Blackmore , E. Mom , F. van den Wildenberg , H.E.J.H. Stoffers en C.P.M. van der Vleuten (1999). How to write short cases for assessing problem-solving skills. Medical Teacher, 21, 144-150.
summary In assessment of problem solving the use of short case-based testing is a promising development. In this approach an examination consists of large numbers of short cases each of which contain a small number of questions.These questions are aimed at essential decisions.Writing such cases, however, is not easy. In this article a description of this type of examination is provided.Also strategies and pitfalls are described in writing these cases. These strategies pertain to the selection of essential decisions, the careful writing of cases and questions and the selection of question formats. Lambert Schuwirth (2006). Toetsen met korte casussen. In Henk van Berkel en Anneke Bax: Toetsen in het hoger onderwijs (p. 127-143). Houten: Bohn Stafleu van Loghum. Offers extensive treatment of several problems, solution approaches. Assessment philosophy: assessment should be instructive itself. Educational level: grade 9. Herbert A. Simon (1980). Problem solving and education. In D. T. Tuma and F. Reif (1980). Herbert A. Simon (1973). The structure of ill-structured problems. Artificial Intelligence, 4, 181-201. Reprinted in Herbert A. Simon (1977). Models of discovery and other topics in the methods of science. Dordrecht: Reidel. D. T. Tuma and F. Reif (Eds). (1980). Problem solving and education: issues in teaching and research. Hillsdale, New Jersey, Erlbaum. "A crucial aspect of problem-based learning (PBL) is the actual design of the problem to be solved"
W. A. Wickelgren (1974). How to solve problems, Elements of a theory of problems and problem solving, San Francisco, Freeman, 1974. Benadert de aanpak van problemen vooral vanuit de verworvenheden op dit gebied van Kunstmatige Intelligentie. "Soar is a general cognitive architecture for developing systems that exhibit intelligent behavior. Researchers all over the world are using Soar." Allen Newell (1990). Unified theories of cognition. Cambridge, Mass. : Harvard University Press. Dit boek is het begin van Soar.